Despite God�s attempt to continually surround me with bad weather, I�m now back in my Florida home, moving forward with cleanup. Hurricane Irma was reported by many to be the worst in modern history for the central part of the state, but we must all turn our focus to the unfortunate residents of the Florida Keys, who received the full force of the storm. My heart goes out to those who lost it all and the unfortunate people of Puerto Rico who are living it again. I got back just in time to immerse myself in the pro tournament scene, as some of the biggest events of the year happen in September. 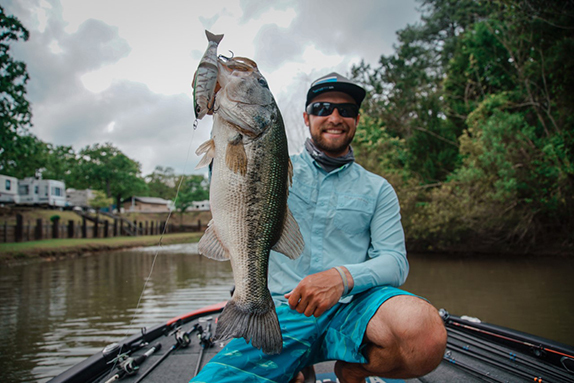 In the period of just a few days, Brandon Palaniuk claimed the B.A.S.S Angler of the Year, Dustin Connell Rookie of the Year, and eight "bubble boys" prepared to battle it out for the final Classic spot in the Bracket event. Palaniuk�s rise to the top came as no surprise to many fans of the sport, although I wasn�t one of those. I take pride in the admitting when I�m wrong, and I was certainly wrong about the young Idaho native. Like other naysayers, I must admit that I thought Palaniuk could be a flash in the pan when his career started, receiving more publicity than he deserved by a press looking for a squeaky-clean star from outside of Dixie. But Palaniuk has proven me, and many others, dead wrong. His record stands on its own: multiple Elite Series wins, a stab at Classic glory, and now owner of the title the players regard as tops. Palaniuk is for real, and is here to stay as one of the best performers in the league. It�s too early to tell if Connell will follow on such a path, but his record sure looks good. The 27-year old is cashing checks like crazy and performing better than most veterans with decades more experience. In addition, he already likes his chances at the Classic next spring. Connell�s rookie title will gain him some additional recognition and help solidify his career, but a few extra bucks would have been nice. Why the major tournament trails would ever hype a title, and then offer no monetary value to the winner, baffles me. But, then again, I don�t have to balance their checkbooks. Of all the recent B.A.S.S. happenings, however, none can top the bracket event. Here, money is understandably of no consideration, as one angler will go to the big show while the other seven bracket competitors watch from the sidelines. The entire bracket tournament has been custom-made for online viewing � the obvious place where B.A.S.S. has invested nearly all of its time and resources now that the world of media has changed. Added to the drama will be live updates to the competitors on the water, scrambling their brains even more. There�s about 26 hours of footage devoted to the event over a four-day period, allowing us all to climb in the boat with some of the best in the world for a full day's fishing. My guess is that there will be record-setting low productivity around the offices of many BassFans as we watch the action unfold. In addition to an MLF-type formatting feel, B.A.S.S. has also embraced the catch-and-immediate-release system for this event, although I�m not sure why. 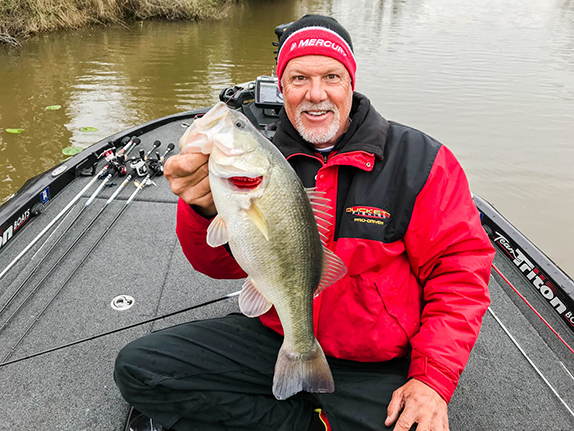 The idea behind the �weigh on board� tournaments, in my opinion, are to prevent fish kills, or allow anglers to continue to catch and catch in a no-limit event like MLF. Neither should be an issue with an eight-angler field in Minnesota. Perhaps this is a continuing trial run to see how damaging a total loss of weigh-ins would be to fan interaction and the popularity of the sport. In any case, the tournament format is a great idea. For years, both B.A.S.S. and its fishermen have placed tremendous importance on Classic qualification; it literally makes or breaks many careers. In the past, the final qualifiers were determined by a mathematical points system that no one could follow or find compelling. Now, fans can watch as one man wins and seven others are defeated. Oh, the guilty pleasure of it all! I doubt I�ve been as excited to view a tournament in a long time as I am this week. Fewer competitors, easier to follow, and a grind in terms of longevity. Surely, the best angler will prevail. And there�s no shortage of big names competing. 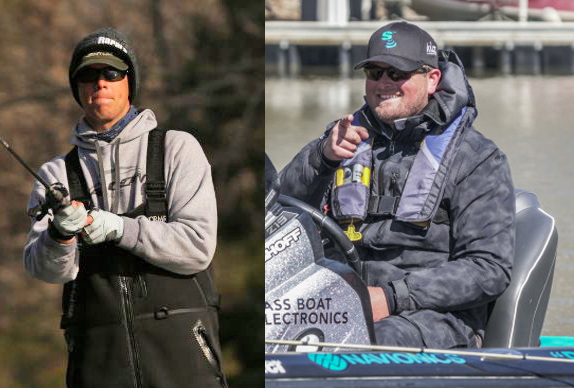 Iaconelli and Powroznik fall into the �what are you doing here?� category � each normally a Classic shoe-in. Monroe, Lefebre and Kennedy are capable of anything on any given day, often unlocking secrets to a lake no one else finds. The remaining competitors have all had their day in the sun at one time, and are hungry for it again. Yes, it appears B.A.S.S. has a winner on its hands with this one. Break out the popcorn.